The North Shore arts festival my father attempted to put together was intended as a launching pad for his most cherished project, what he hoped would be a permanent professional chamber orchestra under his direction. 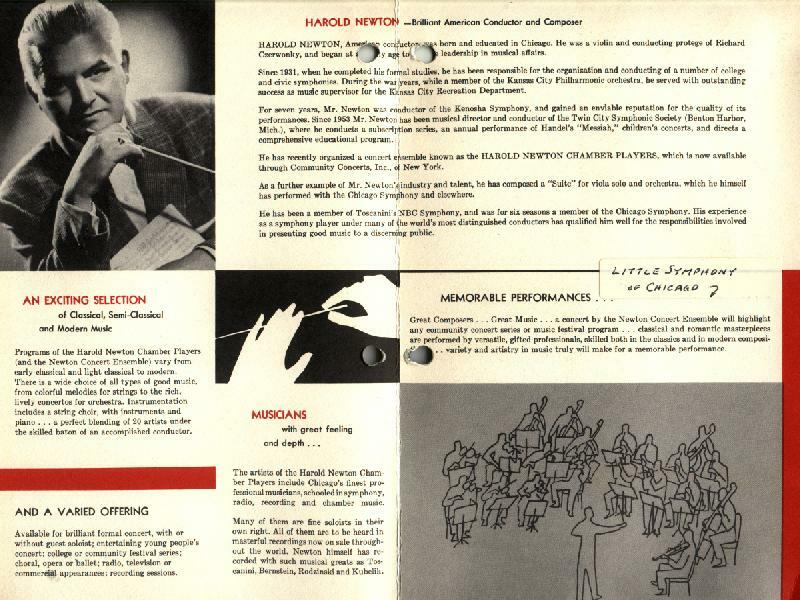 Below are the front cover and inside two pages of a brochure designed to promote the group. 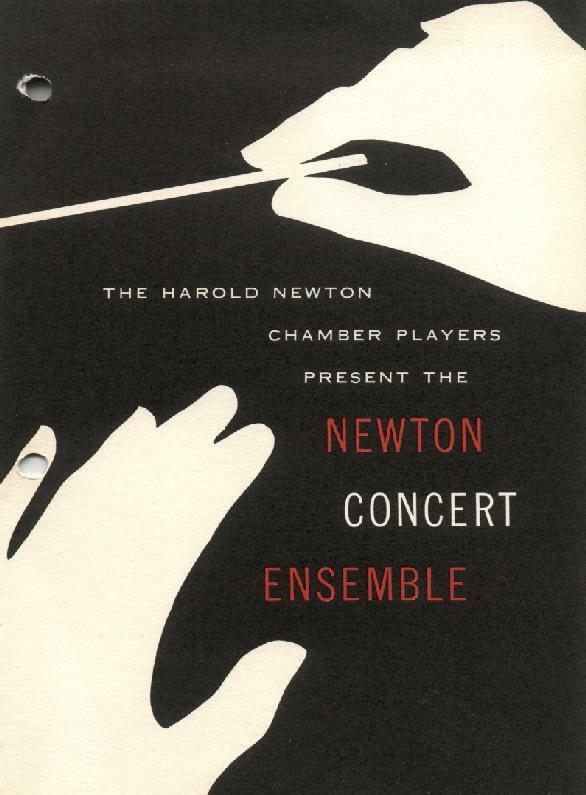 The orchestra was known under various names: the Harold Newton Chamber Players, the Newton Concert Ensemble, the Chicago Little Symphony, and his favorite, the Little Symphony of Chicago. However, there had been an earlier but long defunct professional chamber orchestra by the name Little Symphony of Chicago, of which he had been a member as far back as 1935. Apparently there was a copyright or some such restraining hold on the name, but eventually Dad was able to use it. Dad wanted to develop a core of regular personnel, hiring extra players as needed. As it turned out, because they played only a half dozen concerts or so all together, of which I heard one, it was essentially a pickup orchestra. However, the musicians he used were the best in town, mostly Chicago Symphony players, and all musicians he knew and had worked with personally and respected. The programs sometimes included some interesting things. Dad attempted to promote contemporary music, and so would usually program at least one work by a relatively unknown American composer. The most adventuresome thing he ever did was a performance of Octandre by Edgard Varèse, which is my personal favorite Varèse composition.